As I reflect on preparing to take on the presidency of IABC London this coming year, I wanted to share a personal story… one about mental health and the power of recovery and the support of a network like IABC in fueling one’s health. In June, I flew out of Montreal to return to London after spending several days with truly inspiring communicators whom I admire at an IABC meeting. Waiting at the Montreal airport, the word *comeback* was flashing in my head. Not in an arrogant or boastful way; these words came to me from a place of complete appreciation for my life and its journey. From a place of deepest gratitude for where things have reached in my life through a tonne of support from those around me and a whole heck of a lot of hard work to get back to a place of happiness. 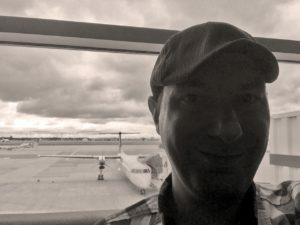 Some of my network may not know of my journey of the last five years, and about the time that I left London to move to Montreal in 2013… and how different it was to leave Montreal after that very short move compared to my return to London today. When I moved to Montreal in 2013 with wanderlust and dreams in my eyes, I very quickly experienced an acute mental health crisis as a result of tremendous stress that I went through in moving there alone. I was shaken to the core and came back to London to the loving arms of my family and friends who took me back and helped me heal my mind and soul. My IABC London family was a big part of that support network. That started a bumpy path to learning how to take care of my brain and how to live with bi-polar disorder. The journey of the last five years has not been easy – there have been failed job attempts as I tried to reboot my career too quickly while I still needed more healing, getting used to various medications, two emergency mental health hospitalizations, learning how to manage stress, and bettering my ability to navigate life through simplifying, organizing it, and learning how to be my best self with the brain I have. Man oh man, where I’m at today… returning to my hometown this time from a wonderful visit to Montreal, it’s with a sense of achievement and pride. And it’s all that much sweeter because of the obstacles overcome to get here. I don’t take it for granted for a second. And I deeply thank everyone who believed in me, gave me a hand up and a chance to prove myself all over again. Plays are more exciting when there’s a second act that resolves a hanging tension from act one. My life has had a second act – and I am so happy about that. There will be, for sure, many more acts to come with twists and turns… but all that I’ve learned from enduring challenge, and all the supports of my loving network of family and friends and peers, will be with me along the way. We are stronger than we know we are and capable of comeback again and again in life. Never forget that. We are all capable of moving forward one step at a time. We are capable of recovery. We are capable of comebacks. We just must remember to always believe in the power within us. I’m so looking forward to the year ahead with all of you!